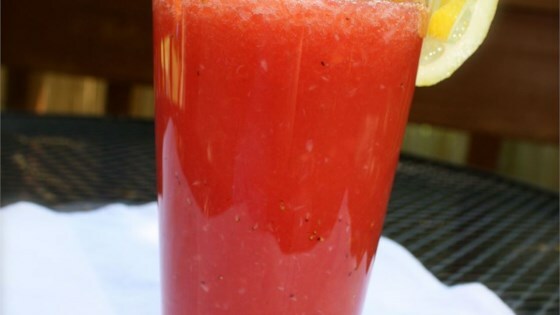 "This recipe makes for fresh fruit that you can drink! It's best served cold over ice." Combine the watermelon, strawberries, lemon juice, sugar, and water in a blender. Blend until smooth. Watch a professional bartender mix a vodka strawberry lemonade. VERY GOOD AND REFRESHING! I used 1/2 splenda and 1/2 sugar to cut down the calories. I love it!